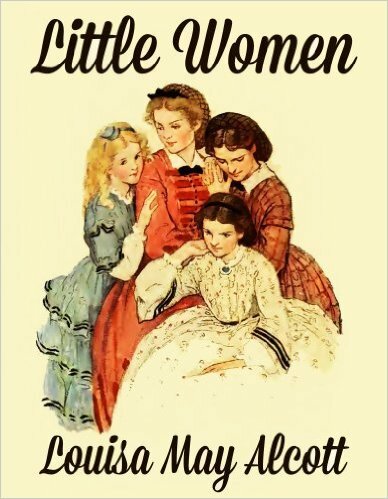 Guest post by JASNA-Vermont member Lynne H.
Our JASNA Vermont reading group recently discussed Georgette Heyer’s Frederica. A skeptical member asked the question: why should we read Heyer? Georgette Heyer is a prolific 20th century novelist known for writing Historical Fiction, Regency Romances, and Mysteries. Frederica is one of the Regency Romances. (Think Harlequin not Hawthorne….) So, why should a thoughtful group of Austen devotees choose a Heyer Romance? Below are some of the answers from our group’s discussion. Reason # 7: It’s summer. Let’s face it, we don’t have to read Tolstoy, Dickens, or even Austen all year. Go to the beach and relax! Reason #6: Heyer, as mentioned above, is prolific. If you like one of her Regency Romances, you have 33 more to choose from. 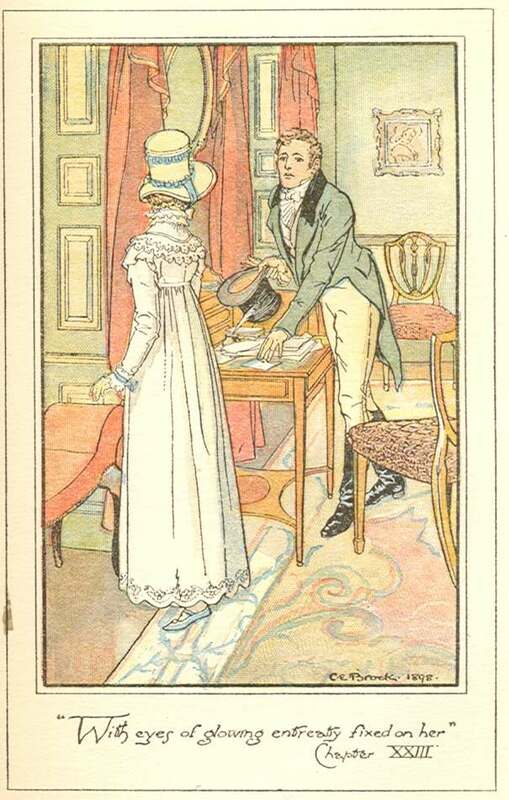 Reason #5: Heyer researched and included wonderful Regency detail. She described the carriages, dress, and food, for example, in specific detail. You can read about phaetons and curricles, neck-cloths and laces, and jellies and sauces. 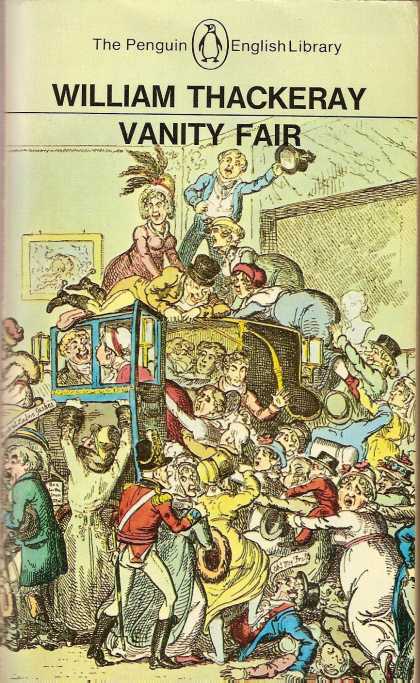 If you have any interest in the Regency period, it is both fun and informative to have such specifics included in the novels. Reason #4: Ditto for Regency language, cant, lingo, etc. Heyer used Regency cant in all of her Romances. What does it mean if someone is a “nodcock” or a “ninnyhammer”? What about if someone is trying to “gammon” another person? Usually the meanings of the expressions are clear from the context; however, members of our group also mentioned further Regency reading to fill in more information about the period. Two of the books were Jennifer Kloester’s Georgette Heyer’s Regency World, and Carolly Erickson’s Our Tempestuous Day. Reason #3: Heyer’s dialogue. She used dialogue extensively. 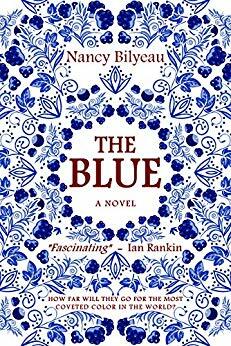 Her dialogue is witty, but it is also artfully constructed to expose and develop character. Reason #1: Her books provide both escape and solace. One of our members mentioned that she read Heyer while she was undergoing chemotherapy. She said that during this difficult time in her life, Heyer made her laugh and gave her a place to retreat to for comfort and solace. For Janeites this is very familiar ground! 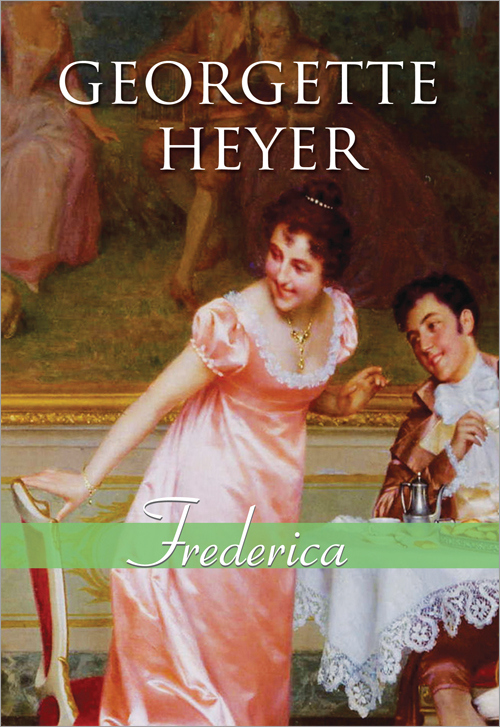 So…if your interest has been piqued by our reasons to read Heyer, we’d suggest that you start with Frederica. Just about all of our group members enjoyed it. 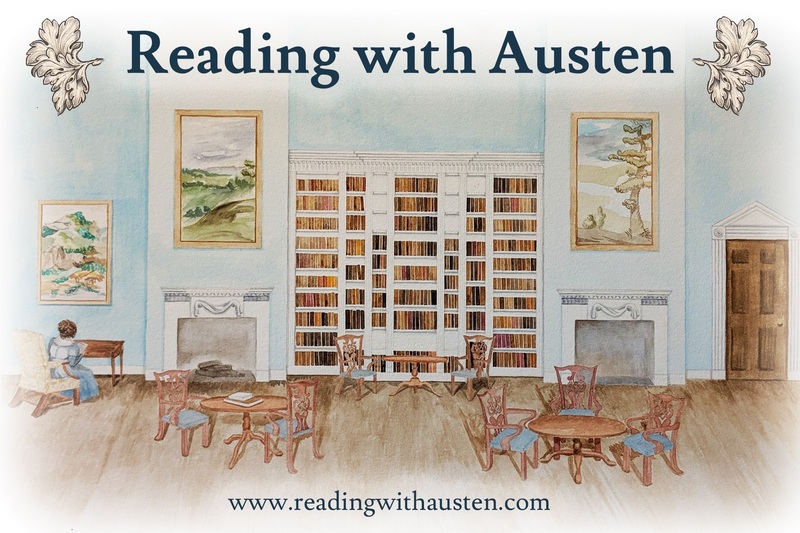 And remember, unlike Austen, there are many, many more novels to choose from for those lazy summer days or for times when you just need to escape. Don’t be a ninnyhammer, try one. [Image: 1st edition cover, Bodley Head, 1965 – Wikipedia] – I love this cover! 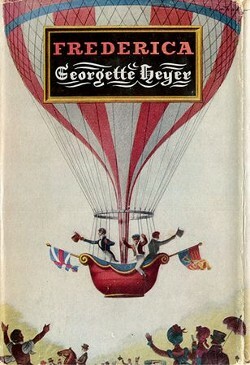 What is your favorite Georgette Heyer? 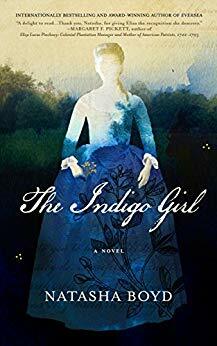 – i.e, after starting with Frederica, which Heyer would you recommend to our book group to read next?